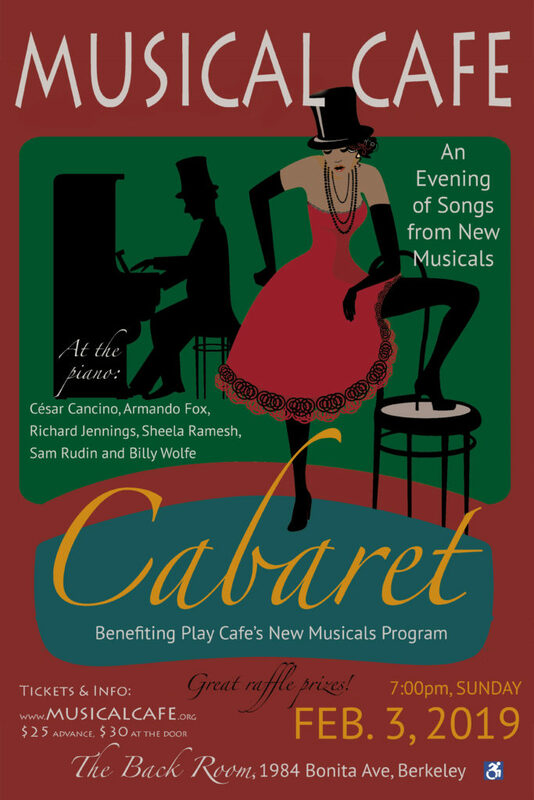 Honored that my song “You Can’t Hide” co-written by Phil Surtees will be performed for Musical Cafe‘s Cabaret Benefit on Sunday, February 3. Musical Cafe is a project of Play Cafe, which both support the development of new plays by Bay Area writers. 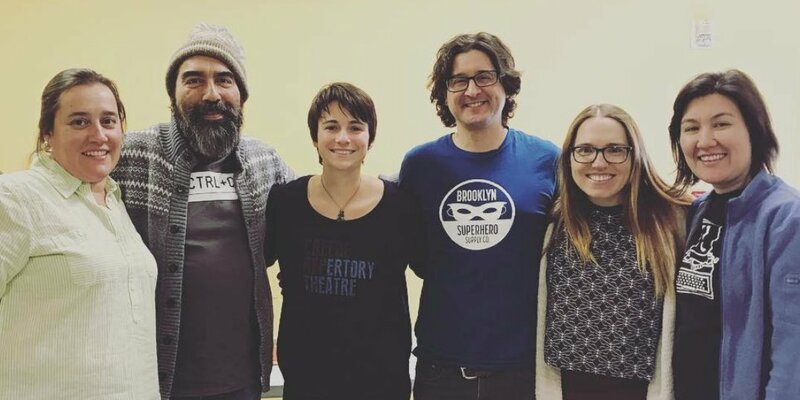 Me and my cast for a closed reading of “Sweet, Sweet Revolution” at the National Winter Playwrights’ Retreat with HBMG Foundation. Co-op 1 for NWPR 2019! Many thanks to Ann Pittman Zarate and Manuel Zarate for hosting as well as to all of the artists who participated in the retreat as well as this incredibly helpful reading, including Amanda J. Bermudez, Joshua Bermudez, Liz Engelman, Patrick Gabridge, Kate Brennan, Annie Butler, and Alice Stanley. This winter, the HBMG Foundation invited me to include a second play in their American Playbook project. 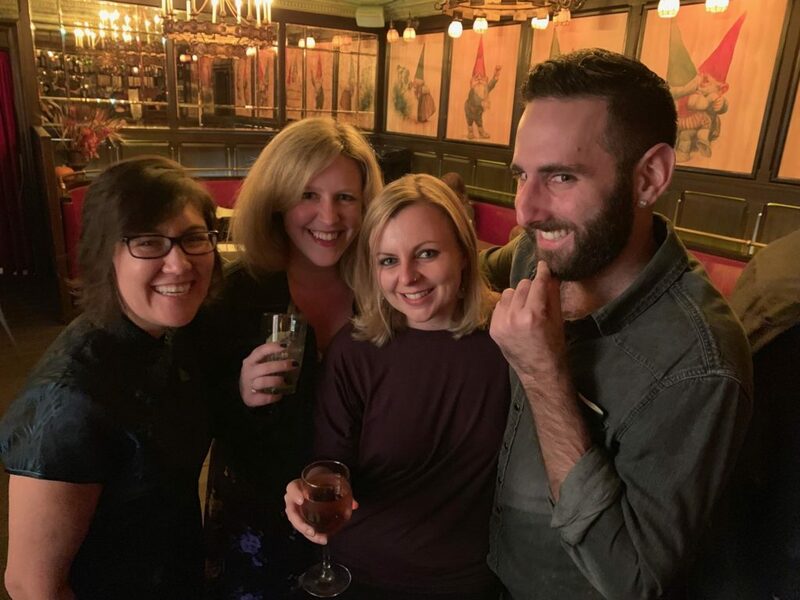 “How Touching” was originally commissioned by the Playwrights Foundation for their One-Minute Play Festival, and I updated this piece for the American Playbook. 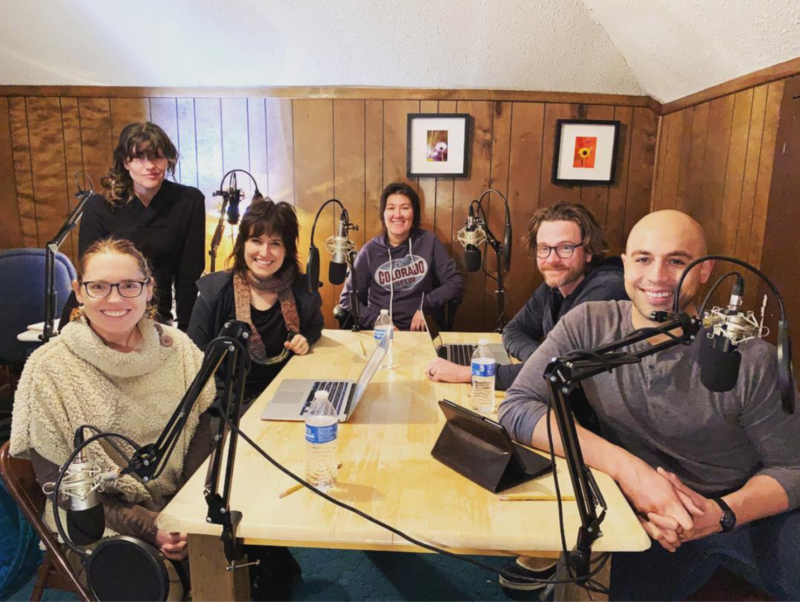 Many thanks to Ann Pittman Zarate, Kate Brennan, Greg DeCandia, Amanda Bermudez, and Joshua Bermudez for reading and recording this important piece about consent and children. 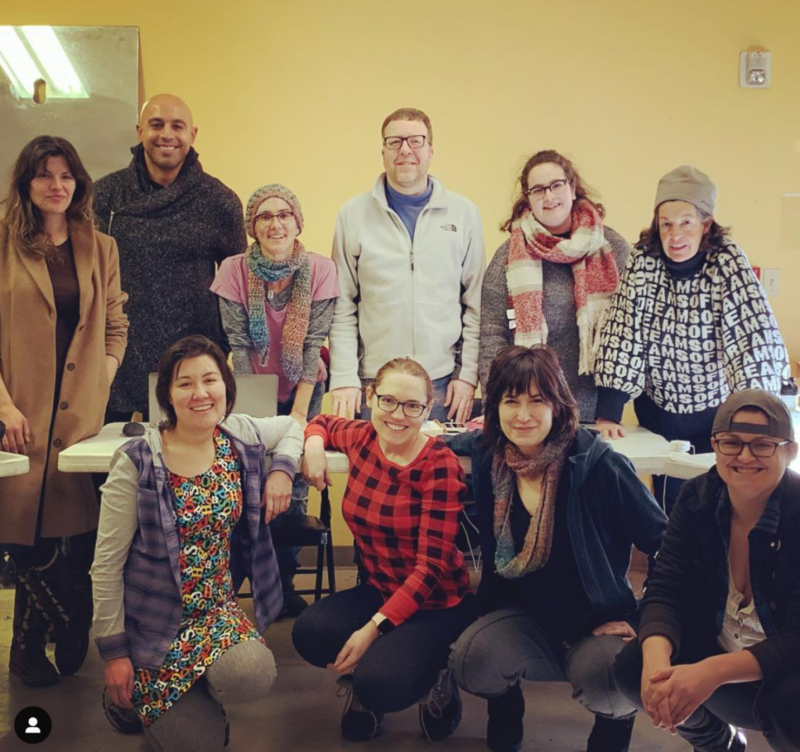 In September, my play concept “Intertwined” was accepted as a commission for The Vagrancy’s 2018-2019 Playwrights’ Group which will lead to a staged performance in May 2019 during The Blossoming new play development series. All of the plays have been inspired by the theme of “true crime,” and my piece explores anti-miscegenation laws and how they particularly impacted Chinese people living in the United States. 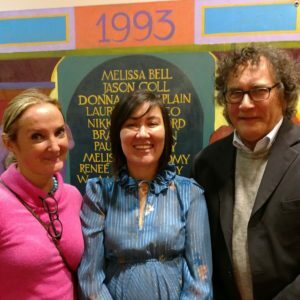 During this project, I am meeting twice a month with other fantastic participants, including poet librecht baker, composer and writer Howard Ho, (check out his Hamilton series on YouTube! ), writer Kate Mickere, actor and writer Ilana Turner, and writer and director Katherine Vondy to read new pages and receive and offer feedback. HMBG Foundation Reading, Austin, TX: performed by (left to right): Tyler Jones, playwright Amina McIntyre, Kelsey Smith, Ann Pittman Zarate (and Baby Z! ), Tracy Held Potter (playwright), Michael Reyna. 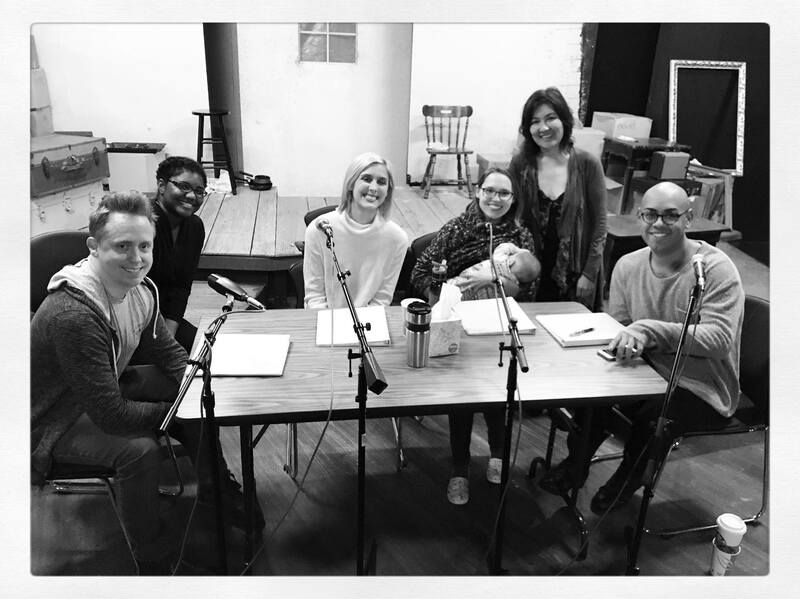 On Saturday, April 7, 2018, HBMG Foundation hosting a live reading and audio recording of my drama “Plastic Nest” that had previously been developed at their National Winter Playwrights Retreat. Although I had been developing this piece for three years, this reading allowed me to hear something that hadn’t come across before and now I’m rewriting the first act to strengthen the male lead. Thanks to Trinity Street Players for hosting and to Ann and Manuel for making this possible! Honored to announce that my play “Plastic Nest” was selected as a Semifinalist for the Playwrights Foundation‘s 2018 Bay Area Playwrights Festival. They received nearly 700 submissions for this national festival, and I’m delighted that this play got so far in the process. I was honored to be invited to participate in the HBMG Foundation‘s National Winter Playwrights Retreat over the new year. In addition to developing my stage drama “Plastic Nest” with a reading by skilled actors, I was able to connect with other writers including Ali Skye Bennet, Alice Stanley Georgette Kelly, Jelisa Jay Robinson, Jordan Ramirez Puckett, Lauren Ferebee, Patrick Gabridge, and theater artists including Kate Brennan (of the Brennan Check-In), Nan Barnett (National New Play Network and New Play Exchange), Liz Engelman (University of Texas in Austin, Tofte Lake Center), and actor Damon Guerrasio. 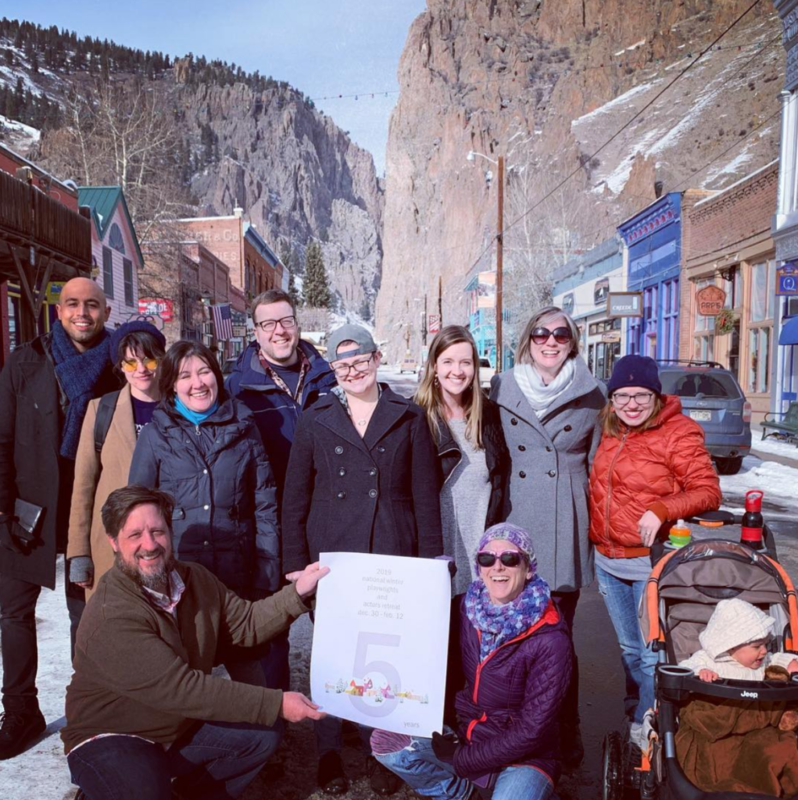 In addition to getting acquainted with the beautiful mountain town of Creede, CO, I managed to make new discovers about my script, had the opportunity to skate on a frozen pond, and enjoyed hearing the work of the other artists participating in this program. After attending my first writer’s retreat, I’m now craving more. Thank you so much to Ann, Manuel, and Paula for hosting this incredible experience.